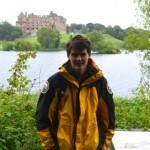 Park ranger Gordon Smith describes why Holyrood Park is one of the best places to be in spring. Holyrood Park is always a fantastic place to visit, regardless of the time of year. In a single day we can often experience more than one season! That being said, spring is one of my favourite times of the year. Being a ranger in the Park, I may be slightly biased but Holyrood Park is a great place to fully experience all the sights, sounds and smells that define spring. Now is a wonderful time to visit as the Park and its inhabitants awaken from the holds of winter. 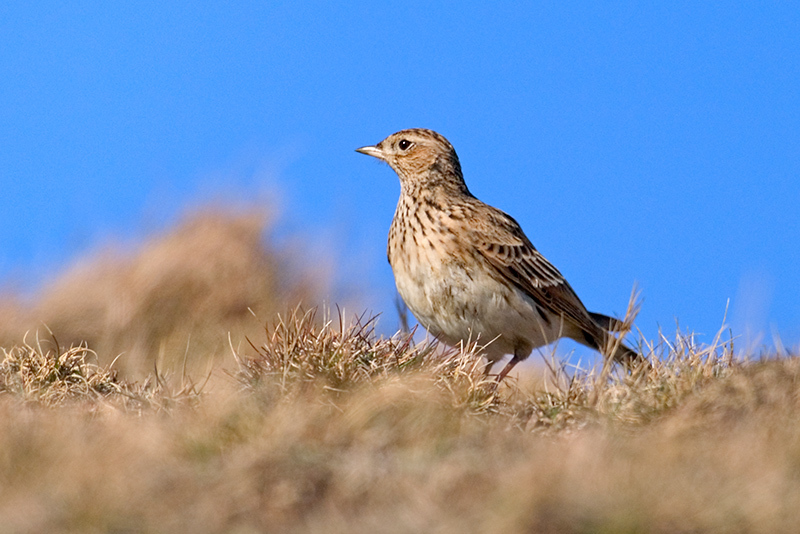 The song of the skylark is perhaps unmatched in being one of the finest sounds of spring. Many poems and musical pieces have taken inspiration from this little bird’s pleasant sounds. Its marvellous display is not just for show – these songs are actually territorial displays by male skylarks, showing their strength to females whilst discouraging other nearby males. 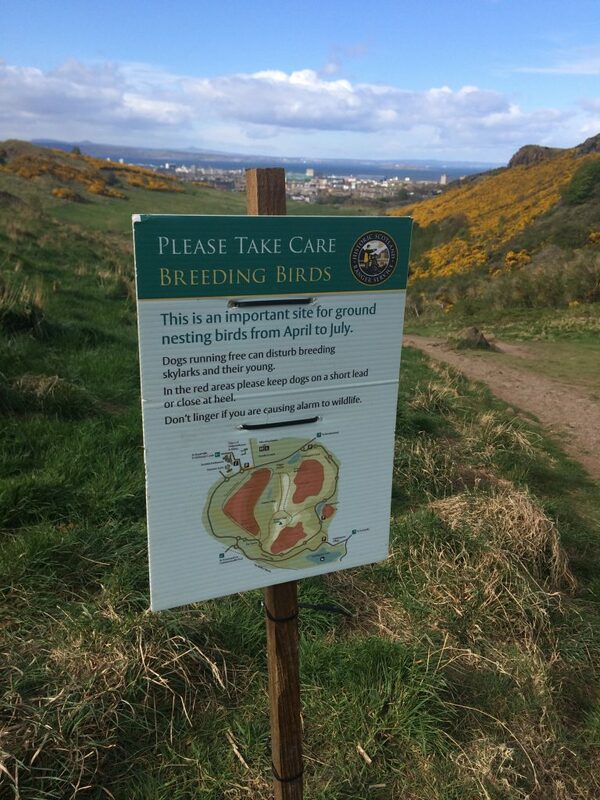 Here at Holyrood Park, we want to provide a safe home for skylarks and other ground nesting birds. With this in mind, from April to July, you may see signs asking that dogs are kept under control in certain areas of Holyrood Park. Dogs running wild through the Park disturbs our nesting birds and may even scare them off nests or to abandon their young. Please follow our advice and keep dogs under control where asked. From the sounds to the smells of spring – gorse provides a beautiful sight and smell at this time of year. This spiny shrub is at its best at the moment, transforming the Park into a sea of yellow. Gorse is abundant across Holyrood Park, Whinny Hill even takes its name from this member of the pea family! (Whin is another name for gorse). As if the stunning yellow landscape isn’t enough, a close inspection of gorse will reveal that it has a distinctive scent, strangely similar to coconut! If confirmation was ever needed that spring has arrived, the emergence of bees and butterflies is a good a sign as any. These charismatic insects benefit from the diversity of habitats inside Holyrood Park. Throughout the spring and summer the Ranger Service regularly surveys for bees and butterflies. Not the worst of jobs to do! 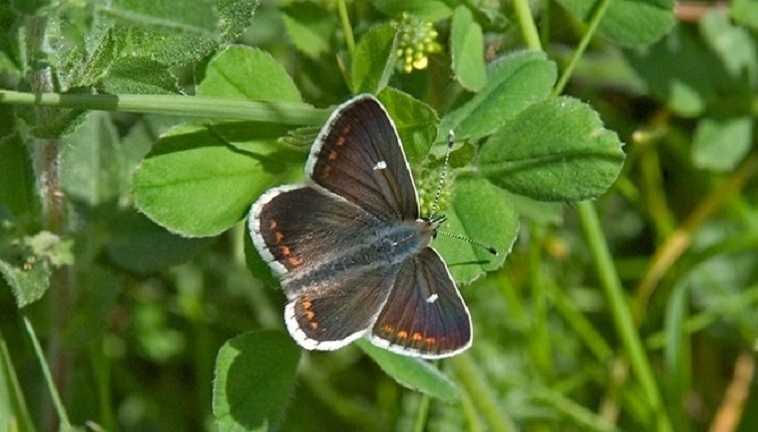 The Northern Brown Argus butterfly is one such species that benefits from the unimproved grassland and presence of common rock rose inside Holyrood Park. This makes Holyrood Park a safe haven for this species that has declined nationally by 91% over 25 years. Busily buzzing from flower to flower, bumblebees are another good example of spring and the promise of better weather to come. Despite being in the centre of Edinburgh, Holyrood Park is a great place to see bumblebees. In fact whilst walking in the Park I recently came across 7 different species! Not all the familiar yellow, black and white patterns either! 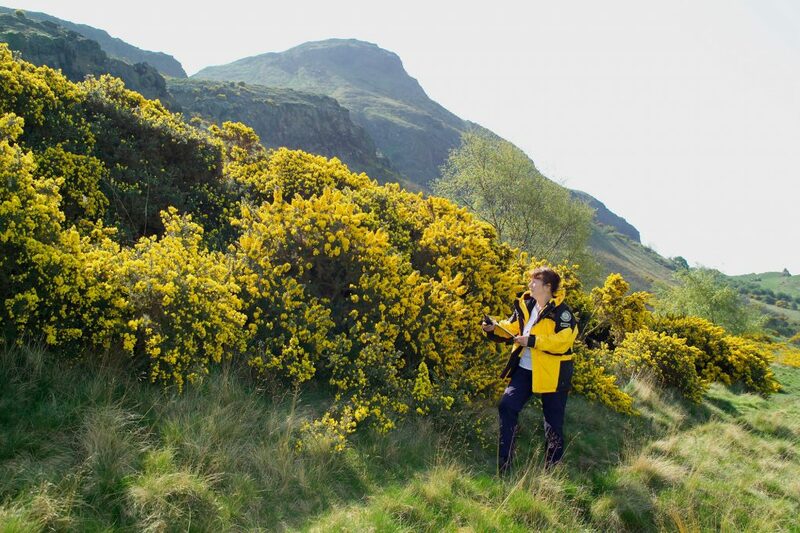 With so much to discover this spring, why not explore Holyrood Park for yourself and let us know what you find? Hi Gordon, saw you mentioned seven species of bumblebee in the park. Do you get Bombus monticola, Bilberry Bumblebee? Unfortunately we don’t find the Bilberry Bumblebee in Holyrood Park. One species we have been finding more regularly is the Tree Bumblebee as their range expands northwards.